So, I’m on this self-inflicted challenge to go sweet-free for 3 weeks (minus Sundays, my free day). Today is day 3, and so far I’m rocking it. Not even really craving anything yet, I’m feeling pretty strong. But that’s not likely to last forever, since my family loves to get ice cream after soccer games, have treats for family night, bigger treats for family movie night, etc etc. So, I figured I should have something in my “stash” that would tide me over in the case of extreme need. This recipe has seriously rocked my world. I just had it for breakfast. Yep, breakfast. It’s SO stinking easy, and so delicious you could serve it to company. All it takes is a little planning so you can freeze your pineapple. (Yes, you could buy frozen pineapple, but I have yet to find a bag of frozen pineapple that doesn’t include a whole list of other fruits.) Also, yes, you could omit the coconut cream, because yes, it is fairly high in calorie content. But seriously…why? A bowl of this deliciousness is only 69 calories, so I’m pretty sure I can handle the cream. The flavor it adds is out of this world! The addition of the coconut milk gives it a more creamy texture. Alternately, you could replace the milk with coconut water and have more of a sorbet. Wait, what? You don’t want to go to the hassle of toasting coconut just for this little treat? Well, neither did I, but I needed it for the picture, right? 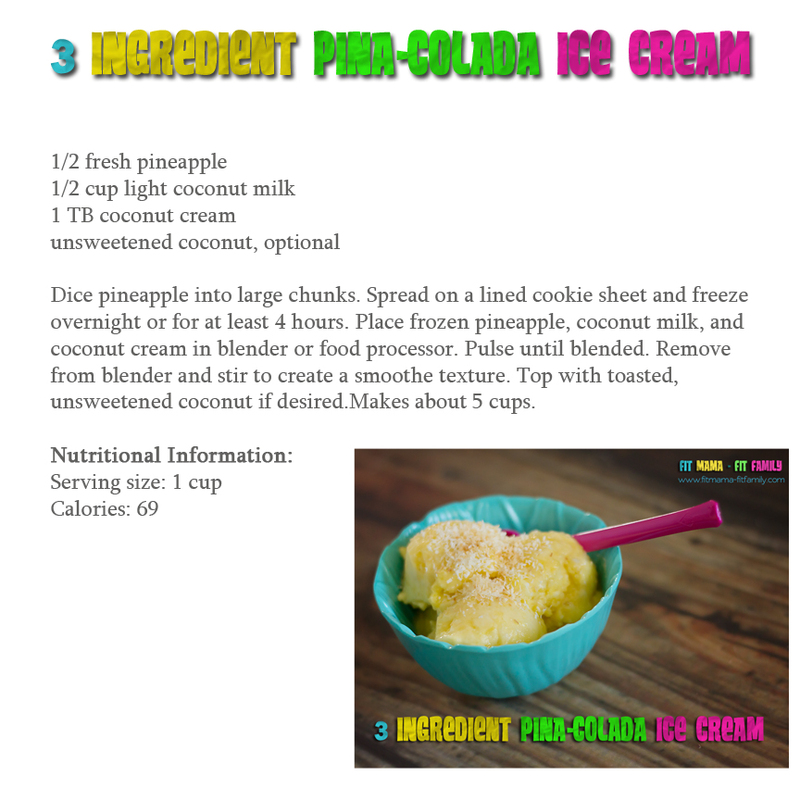 So I chucked some coconut (unsweetened is best!) in a bowl in the microwave for about 2 minutes. Perfecto! And I have to tell you, I am so glad I did, because the flavor and texture it added was over the top! 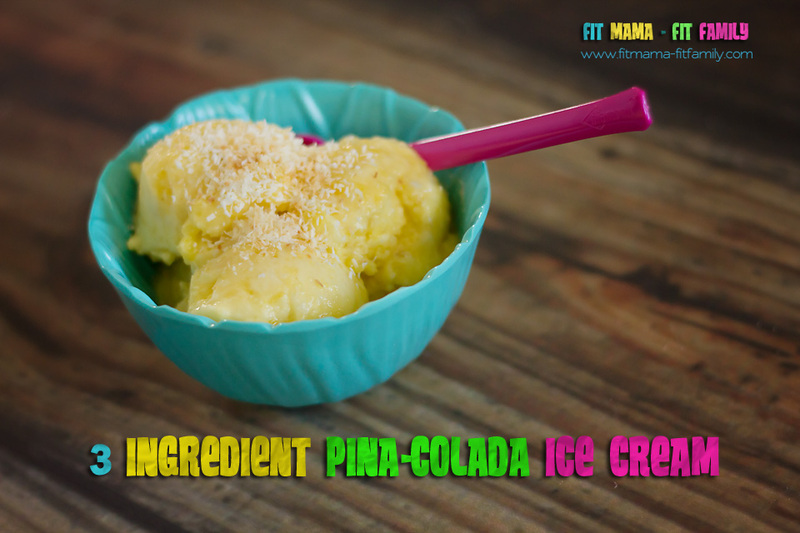 So run to the store for a yummy fresh pineapple…freeze half and munch on the rest while you’re waiting for this delicious, summery, tropical treat! Let me know what you think! I’m thinking I’ll try it next with mango. Or peach. Oooh, or watermelon lime! Mmmm….